A recent study found that mice who fasted, whether because they were fed all of their calories only once per day or because their calories were restricted, which naturally caused them to eat all of their limited food at once — were healthier and lived longer compared to mice who had constant access to food. But do the health benefits of fasting, including the possibility of living a longer life, apply to humans? (CNN) — For the past year and a half, Keith Taylor and his wife have adopted a lifestyle that includes fasting on a regular basis. “For six days per week we don’t eat until around 5 pm, but eat as much as we want and whatever we want from 5 pm until we go to bed. It is not a diet in the classic sense — we do not restrict WHAT we eat or HOW MUCH we eat, but rather just WHEN we eat,” Taylor said in an email. Since the Taylors have been intermittently fasting, often called just IF, they’ve maintained a healthy body weight, been more alert and energetic, experienced less stress, and are less prone to getting sick. While Taylor admits that whether or not he will live longer as a result of his eating pattern is a “good question,” but he feels optimistic. Research involving animals has revealed that intermittent fasting can reduce the risk of obesity and its related diseases, including non-alcoholic fatty liver disease, diabetes and cancer. According to Mark Mattson, chief of the Laboratory of Neurosciences at the National Institute on Aging, research from the 1980s revealed that the lifespan of rats increases substantially when they fast every other day, compared to rats who have food available at all times. A much more recent study, published this month, found that mice who fasted, whether because they were fed all of their calories only once per day or because their calories were restricted, which naturally caused them to eat all of their limited food at once — were healthier and lived longer compared to mice who had constant access to food. 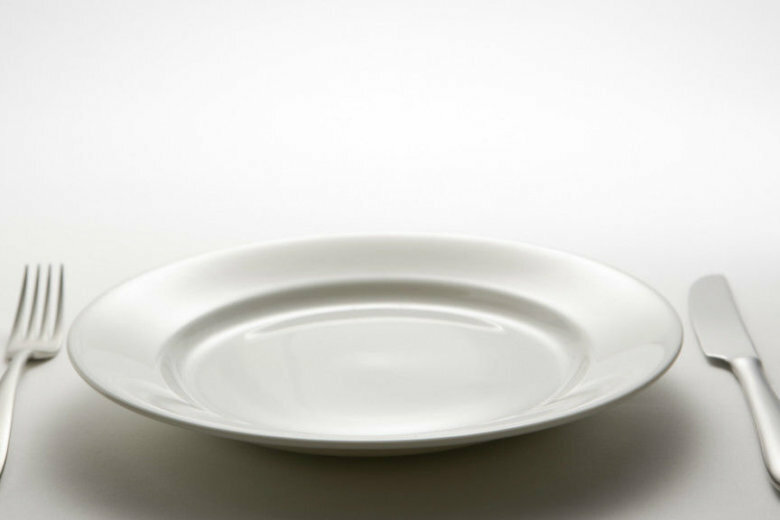 Trying to tease out whether fasting is simply a form of calorie restriction is very complicated, according to experts. But “in the absence of calorie restriction, and independent of diet composition, fasting mice do better than non-fasting,” explained Rafael deCabo, a scientist at the National Institute on Aging and the study’s lead author. But do the health benefits of fasting, including the possibility of living a longer life, apply to humans? So far, research has revealed promising results. One study published last year divided 100 people, all free of disease, into two groups. For three months, participants either ate whatever they wanted, or consumed between 800 and 1,100 calories for only five days out of the month — a pattern researchers refer to as a “fasting mimicking diet” or “FMD.” At the end of the study period, participants on the FMD who were at risk for disease saw their fasting glucose, an indicator of diabetes risk, return to normal. Markers for heart disease, along with high levels of cholesterol and triglycerides, decreased, as did levels of the 1GF1 marker of various cancers. Additionally, participants lost abdominal fat, while preserving lean muscle mass and metabolism, which is often sacrificed on a lower calorie diet. “You think of diseases when you think of lifespan — like cardiovascular disease, cancer and diabetes — as major causes of death,” said Mattson. And if you have improvements in risk factors for disease, it does, “on average” promote lifespan, explained Mattson. And no major diet changes are necessary. “You can do this for five days, and then go back to what you would do normally,” added Longo. The research behind the popular 5:2 diet — a type of intermittent fasting where people eat whatever they want for five days per week, then limit their diet to 500 calories for two consecutive days, has also revealed health benefits. Both groups lost the same amount of body weight over a 6-month period, but that was where the similarities ended. “We saw superior beneficial effects of 5:2 diet on glucose regulation (a risk factor for diabetes) and loss of belly fat (a risk factor for cardiovascular disease) compared to the women eating regular meals but restricting calories,” said Mattson. A form of fasting known as time-restricted feeding, where meals are consumed within a limited number of hours each day — like the Taylors are doing — has revealed beneficial effects on weight and health in animals, but a review article published in 2015 concluded that the data from human studies on this type of eating pattern is limited. Clinical trials are currently underway of IF in patients with various diseases such as multiple sclerosis or cancer to determine if fasting can halt progression. “If you hit cancer cells with chemo or radiation, when the individual is in a fasting state, the cells may be more vulnerable to being killed because they use glucose and cannot use ketones [the source of fuel during fasting],” explained Mattson. Researchers are also currently studying how fasting may impact cognitive performance and the risk of Alzheimer’s disease in overweight women. “If ketones are not elevated, you don’t see the beneficial effects,” said Mattson. What’s more, these metabolic changes that occur during repeated “cycling” from fasting to eating may help to optimize brain function and bolster its resistance to stress and disease, both of which have positive implications for aging. According to Longo, the presence of ketones in the blood signifies that on the cellular level, the body is “regenerating” itself, which protects against aging and disease. “The damaged cells are replaced with new cells, working cells — and now the system starts working properly,” said Longo. This ultimately impacts disease risk, as risk factors for disease decrease when tissues are healthy and functional, explained Longo. One point to consider is that the research on fasting has focused mostly on overweight individuals or those with risk factors for disease. If you are aging at a healthy body weight and are free of disease, and you eat a healthy diet and regularly exercise, periodic fasting may not necessarily offer an added benefit in terms of lengthening your life. “If you are already doing everything right … then I wouldn’t necessarily recommend switching to IF,” said Mattson. Fasting is also not appropriate for pregnant women and those with medical conditions such as diabetes or eating disorders. According to Samantha Heller, a registered dietitian and senior clinical nutritionist at NYU Langone Health in New York, the jury is still out on how healthy, sustainable and realistic the approach is. Though some people may feel better as a result of fasting, “eating very low calories, or none, on alternate days feels punitive to many and may exacerbate an already difficult and complex relationship someone has with food,” said Heller. Experts say if you are considering a fasting diet, it’s crucial to have a doctor’s approval, and to be medically monitored. It’s also wise to meet regularly with a registered dietitian who can monitor your eating patterns, because it’s easy to overdo it on non-fasting days, especially when you are not in a controlled setting like the study participants were in, explained Angela Lemond, a registered dietitian and national spokesperson for the Academy of Nutrition and Dietetics. “The benefits [of fasting] are counteracted if you are going to make up for the calories the next day,” said Lemond. Another consideration is to think about what type of pattern will make sense for your lifestyle. Mattson engages in time-restricted feeding, a practice he has adopted for more than 30 years, where he consumes all of his 2,000 calories between 3 p.m. and 8 p.m. Finally, it’s important to remember that even though your health might improve from fasting, other factors including genetics and the environment can also determine how long you will ultimately live.